Just a quick heads-up for Cubase users regarding an issue which can cause Loomer plug-ins saved in Cubase projects to reset to their default after upgrading said plug-in. Other hosts are not affected. Presets saved externally are not affected. Save a project using a plug-in that used the old, flat preset system. 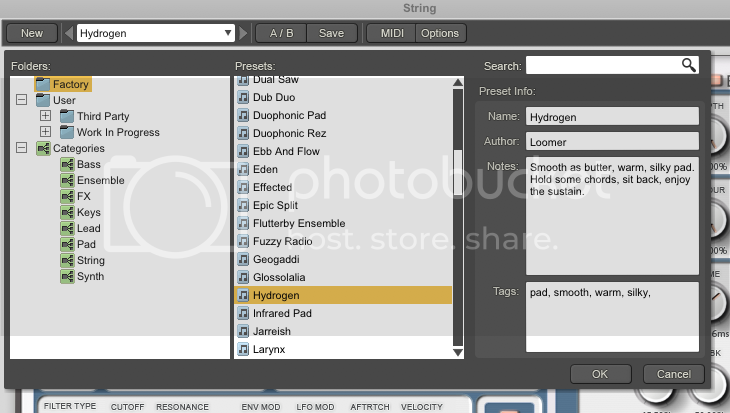 Upgrade the plug-in to a version that users the new integrated preset browser. If you've already upgraded to a plug-in using the new browser, further upgrades will not cause any problems. Before you upgrade, save your presets out to native .xml or .fxp files. Open your Cubase projects, load your saved presets into the affected plugins, save the projects, and never concern yourself about this bug again. If you're a registered user who has already upgraded and would like a link to an older version of a plug-in so you can downgrade and save your presets or email us on the support email address listed here.